Learn to make Chakli Recipe – Instant Rice Chakli Recipe with an easy video tutorial. Crispy instant rice chakli is a popular Indian deep-fried namkeen (savory snack). 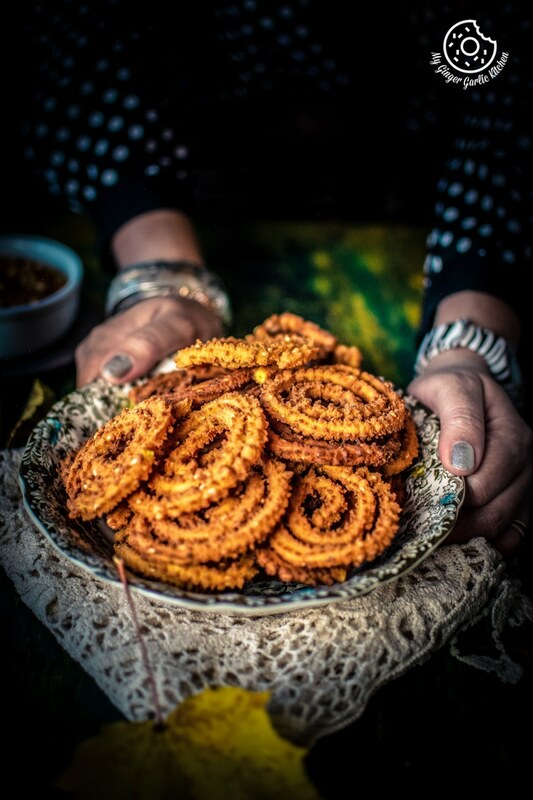 The crispy texture, buttery spicy flavors of this deep-fried snack ‘Chakli’ makes it deliciously addictive. 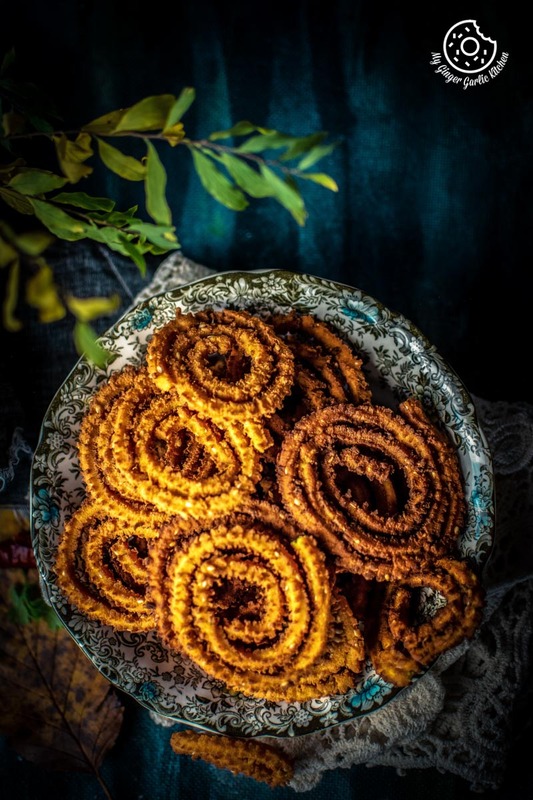 Chakli makes a utopian brunch or an afternoon snack along with some with hot masala chai, or some cold coffee or even with some flavored yogurt. 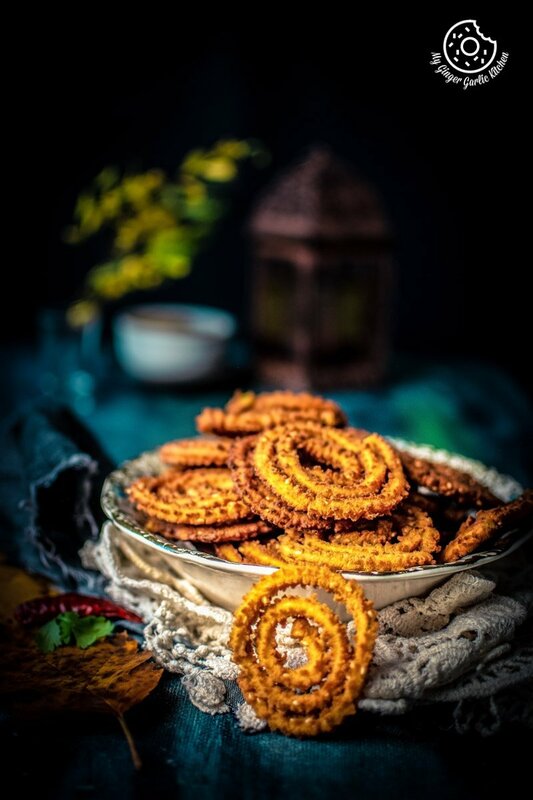 Chakli is a deep fried spiral shaped savory snack usually made with rice flour, chickpea flour, butter, and some spices. Chakli is easy to prepare at home with some readily available ingredients in your kitchen. These chaklis are naturally gluten-free, and vegetarian. And you can also make them vegan by replacing butter with oil. With this easy chakli recipe, you can recreate your favorite chakli at home. Plus, making chakli or any other namkeen at home is healthier and hygienic. Namkeen is the Hindi word used for the savory flavor in dishes. The word namkeen is obtained from the word ‘Namak’ which literally means salt. The word Namkeen is also used as a generic term to describe savory snacks. Yes, you can definitely bake Chakli to make them healthier, as compared to frying them. 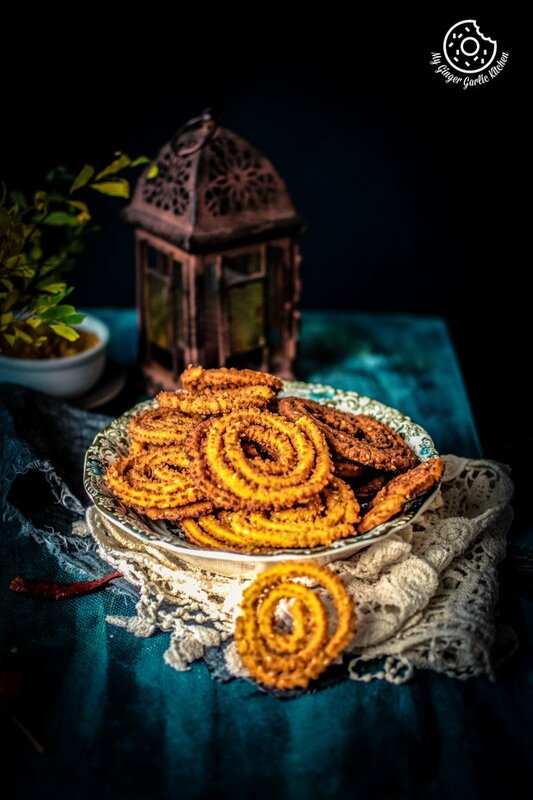 I have shown how to bake chaklis in the video below and I have also given the baking recipe in the recipe box on this page. What are some other Names of Chakli (चकली)? Other names of this Chakli dish are chakkuli, chakri, and chakralu. What is Chakli made of? Chakli is a deep-fried savory snack typically made from flours of rice, besan (bengal gram/chickpea). Sometimes people also add black gram (urad daal) flour to it. Chakli has several versions, depending on the types and proportion of flours used such as wheat flour chakli (atta chakli), all-purpose flour chakli. Chakli dough is made using flours of rice (chawal), chickpea (besan/bengal gram), salt (namak), asafetida (hing), ginger-green chili paste (adrak hari-mirch ka paste), turmeric powder (haldi powder), red chili powder (lal mirch powder), sesame seeds (til), butter/oil, yogurt (dahi), and warm water. First, the flours, chili paste, hot melted butter, yogurt, salt, and spices are mixed well. Then this mix is combined with warm water, and is kneaded into a smooth dough. Then shaped into spirals using a mould known as chakli maker. These spirals or coiled shapes are then deep-fried into hot oil over medium-low heat until it becomes brown in color. It is then removed from the oil, drained and cooled. After cooling, they are stored in an airtight container at room temperature. How to make chakli without chakli maker? Making chakli without chakli maker is actually possible. To get the similar results, you can use star-shaped piping nozzles for shaping spirals. How do you make soft Chakli crispy? Just pop the chaklis in the oven for 10-12 minutes at 150°C preheated oven. Let them cool completely on a wire rack. What is the difference between the Indian snacks of Murukku and Chakli? Chakli is authentically made from rice flour, and besan (chickpea flour) bengal gram. Murukku, a similar dish typically made without the besan (bengal gram). Murukku is usually made from rice and urad dal flour. 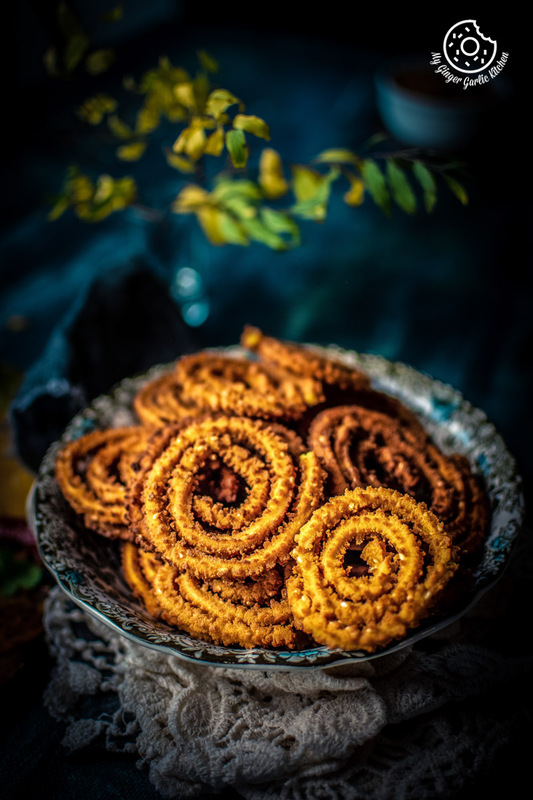 Chakli is a spiral-shaped, snack with a spiked surface. You can resemble it with a pretzel-like surface. Murukku is shaped into a spiral by hand or by using a mold. 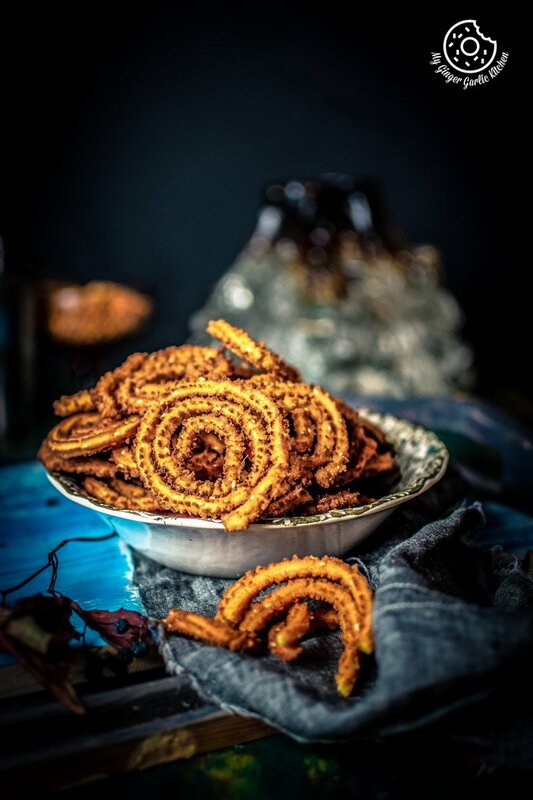 You can make chaklis when your guests are coming over for a weekend binge watch, or you can make Chakli for festivals like Holi and Diwali. To enhance the taste, serve them along with some coconut chutney, a spicy red chutney, yogurt dip, or even some cheesy dip and get ready to please your guests. They would definitely adore this crispy snack. 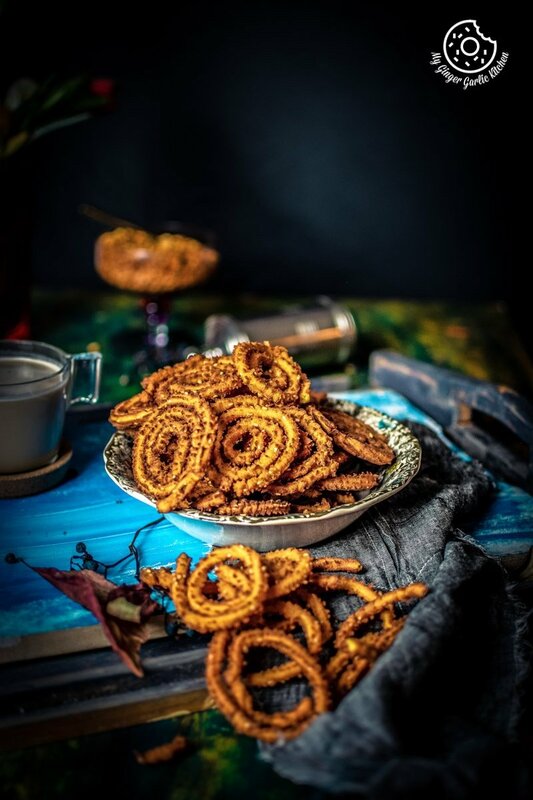 For this instant version of rice chakli, you would be needing a dough made from rice flour, besan, butter, yogurt, sesame seeds, salt, red chili powder, and turmeric powder. 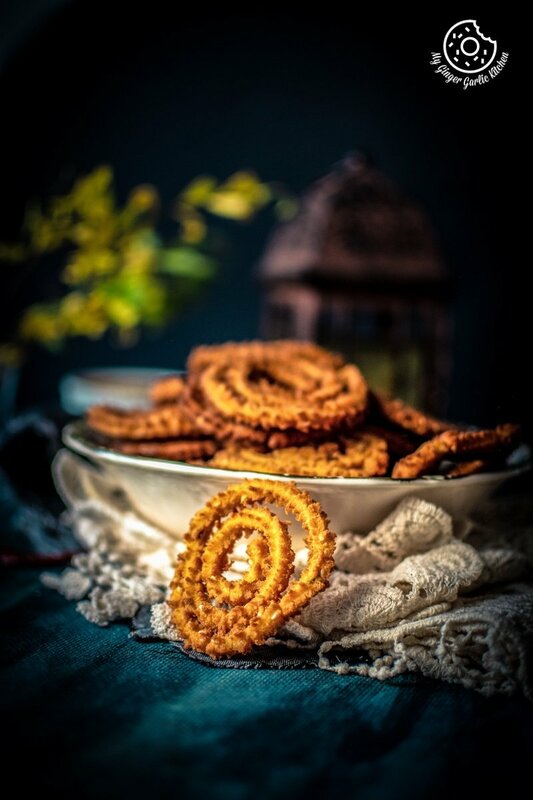 Making chakli at home is a cakewalk and with some tips, you can make nice and crispy chaklis at home without a hassle. Always add hot oil/ghee/butter to the chakli dough. Mix and rub it well using the fingers. This would ensure that your chaklis come out really nice and crispy. Always deep-fry chaklis at medium-low heat. It’s because they will not turn crispy if you fry them on high heat. I make my chaklis instantly right after making the dough. But if you are a novice at making chakli then you can let the dough rest for 30 minutes, this resting time makes the dough easier to work with. Pipe chaklis on a tray lined with parchment paper. This way transferring them into hot oil would be easier and they would hold their shape. Check the oil temperature before frying chaklis. To test the temperature of the oil, drop a tiny piece of dough to the oil and if it comes up steadily then that means the oil is ready for frying. Keep the dough soft. If your dough is not soft then the chaklis might break when you shape them. If your chaklis are breaking while shaping, then add little water to the dough and give it a nice knead again. This recipe makes spicy and hot chaklis. I have added ginger-green chili paste and red chili powder to the dough. But if you think this is very hot, then you can skip ginger-green chili paste and use just ginger paste and replace red chili powder with black pepper powder. You can easily tweak the spices and herbs as per your taste preferences. 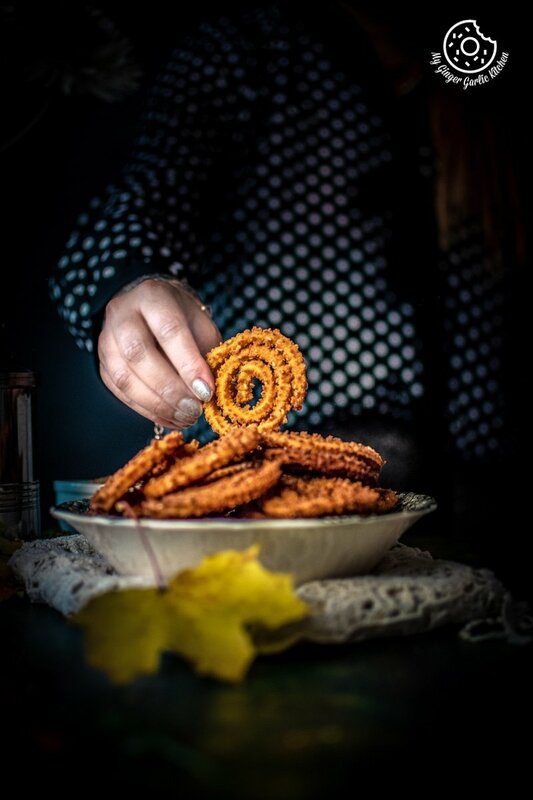 For making chaklis you would be needing a mold known as a chakli maker or a chakli press which usually comes with different tips. You need star shaped tip (jali or filter) for making chakli. You can easily find chakli press online, but if you can’t find any chakli press then you can use the star shaped piping nozzle for forming chaklis. I used white sesame seeds for this recipe, but you can also use black sesame seeds, nigella seeds, carom seeds, or even cumin seeds. 1. In a large mixing bowl mix together rice flour, besan, ginger-green chili paste, asafetida, salt, red chili powder, turmeric powder, sesame seeds and give it a nice mix. 2. Add in the hot melted butter, yogurt and mix everything well. 3. Start adding water little by little to knead into a soft and smooth dough. (You can cover and rest the dough for 30 minutes). 1. Use a star shape filter/jali. 2. Grease the chakli maker or chakli press with oil and then add some dough into it. 4. Seal the edges of each spiral by pinching the ends. Use up all the dough and prepare all the chaklis the same way. 5. Keep the chaklis covered to make sure they don’t dry out. 2. When the oil is hot enough, turn the heat to medium low. 3. Deep fry these rice chaklis a few at a time on medium low heat till they turn golden brown in colour and turn crispier. 4. Remove from oil drain the fried chaklis onto an absorbent paper. 5. Let the chakli cool completely before store them in an air tight container. 6. Serve with a cup of hot tea or coffee. 1. Bake these chaklis in a pre-heated oven at 180°C/360°F for 15 minutes. 2. Flip all the chaklis after 15 minutes and bake for 10-15 more minutes. 3. Let them cool completely on a wire rack before transferring them in an air tight container.